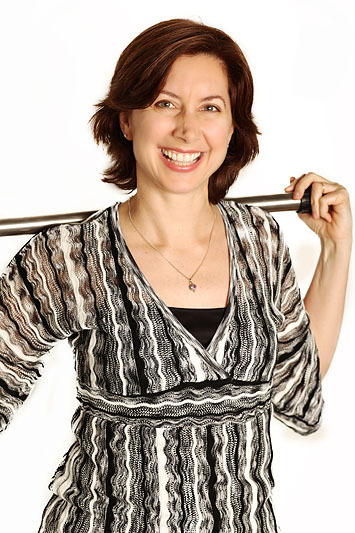 Lori’s focus is on teaching Pilates lessons, as well as training, testing and mentoring Pilates instructors. She’s responsible for Atlas Pilates educational program development and management. And she’s a widely sought-after presenter and popular speaker at Pilates Conferences and Physical Therapy Association Conventions around the world. Lori has a BFA in Dance from SUNY Purchase, and a Master’s degree in Physical Therapy from Temple University. She has worked as a professional dancer and as a staff physical therapist. She has worked as physical therapist for professional dance companies and backstage on Broadway shows in New York and Seattle. In the early 1980’s Lori was sent to Joseph Pilates protegeé Romana Kryzanowska by a dance instructor in order to deal with a knee injury. The knee healed completely, and Lori became captivated by The Pilates Method. By 1986 she was teaching Pilates and in 1999 was honored when Romana asked her to be a Pilates Teacher Trainer. 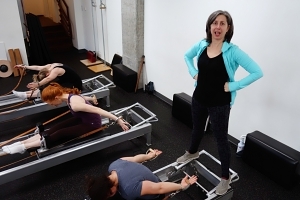 In 1993, Lori moved to the Pacific Northwest to co-found The Pilates Studio of Seattle (now known as Pilates Seattle International) where she served as a Director for 16 years and successfully trained more than a hundred new Pilates instructors. Lori ultimately reached Master Teacher Trainer status (Level II) in the Romana’s Pilates organization. 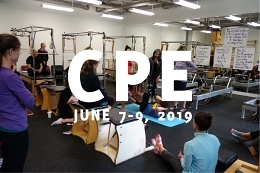 A featured instructor on Pilatesology, Lori also tours and teaches Pilates and Anatomy in studios of all sizes in Austria, Australia, Canada, England, France, the Netherlands, Japan, Singapore, and across the United States. Lori stepped away from studio ownership in order to focus on her teaching and is now happily working at Atlas Pilates in Seattle. She learns something new every day while helping her clients get stronger, more flexible and happier by using the Pilates Method. Atlas Pilates Visitor's Information section lists our transportation, lodging, dining, and sightseeing suggestions. Interested in having Lori Coleman-Brown teach workshops and lessons in your studio or your event? Contact Us to learn how. Pilates Lessons are By Appointment. All classes start on the hour and are 50 minutes long.